While the home has taken on the legendary status of the famous author, it has attracted attention since its construction in 1851. Everything about the house built by wealthy Key West maritime architect and ship salvager, Asa Tift, was different. Its Spanish Colonial architecture, embellished with wrought iron balconies, had more in common with houses of Havana than with the island’s simple wood Conch houses. It was constructed of hand-cut limestone quarried from the property, not wood. It had a basement, unheard of in sea-level Key West. When Ernest Hemingway and his second wife, Pauline, first visited the island in 1928, the house sat abandoned. During their brief stay, the couple was taken in by the laid-back island. They discovered the Tift house which had fallen into disrepair, purchased it in 1931 for back taxes, and moved to Key West with their sons, Patrick and Gregory. Massive renovations were undertaken throughout the 1930s, including the addition of a pool, a first for Key West. The family lived in the house until 1940, when the lure of Cuba called, and Hemingway left both Key West and Pauline permanently. Hemingway enjoyed the island’s unpretentious lifestyle. He sought the company of locals, became an avid fisherman, was a fixture in popular bars, and a referee for boxing matches. His habit of early morning writing in his studio above the garage was productive. During his Key West years Hemingway wrote Death in the Afternoon, Snows of Kilimanjaro, The Short, Happy Life of Francis Macomber, To Have and Have Not, and The Green Hills of Africa. 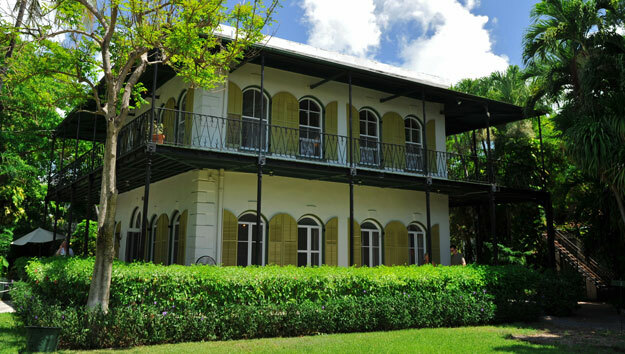 Visitors to the storied house, open 9 am to 5 pm daily, enjoy seeing it much as it was when the Hemingways lived there. Things to look for on guided tours: Hemingway memorabilia and photos and Pauline’s collection of chandeliers, furnishings and a 17th-century Spanish chest she brought with her from Paris, where the couple met and married in the 1920s. Peering into the writer’s 2nd-floor writing space is of special interest. 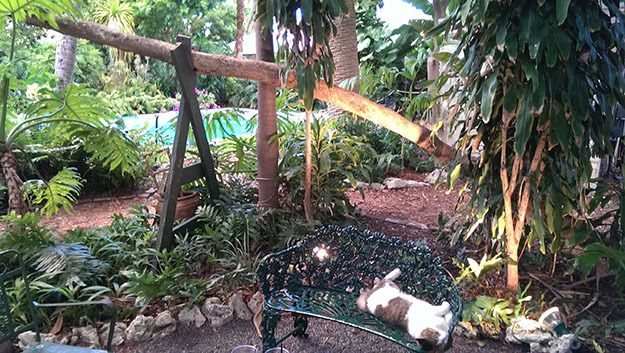 Another visitor fave: resident 6-toed cats, descendants of the Hemingway family cat, Snow White! Use the online coupons below for extra savings!